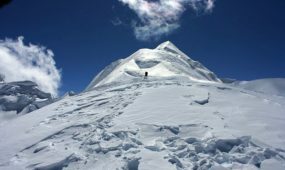 The Pisang Peak climbing is a fascinating adventure ascending the pyramid of snow standing beautiful and proud in the Annapurna region of Nepal. The Mount Pisang also called as Jong Ri is a pyramid shaped mountain residing above a village called Pisang and Manang District of Northern Nepal. 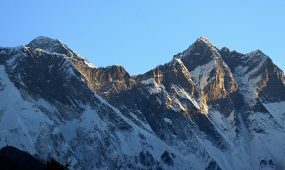 The Pisang Peak is of 6091 meters high lying near to Annapurna circuit route which takes three days extra reaching to Pisang Village from the circuit. The Pisang peak is an easy climbing trek grouped as technical climbing peak with the nearest and fabulous views of Manang Region and Annapurna Himalayas. 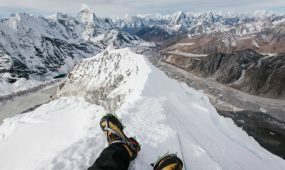 The another highlight of Pisang Peak is being near to Throng La Pass of 5000 meters offering a good opportunity to acclimatization to climb the peak. 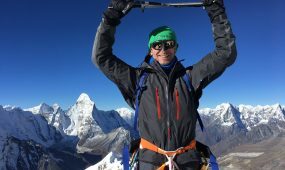 The summit of Pisang Peak actually have the true views of Tilicho Peak, Gangapurna, Glacier Down, Annapurna II, Annapurna IV, Manang Valley, encompassing region and other accompanied mountains. The travelers doing independent climbing to Pisang Peak land on Besisahar of Lamjung District and start following the Annapurna Circuit trail which will take them to Pisang Village in five days. 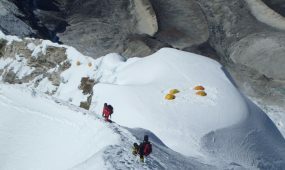 After leaving the last village the travelers land on Yak Kharka at 4380 meters where they setup their first base camp. 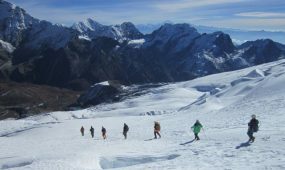 After doing some rest and acclimatization on base camp the travelers climb towards high camp at the altitude of 5400 meters land on the South-West Ridge. 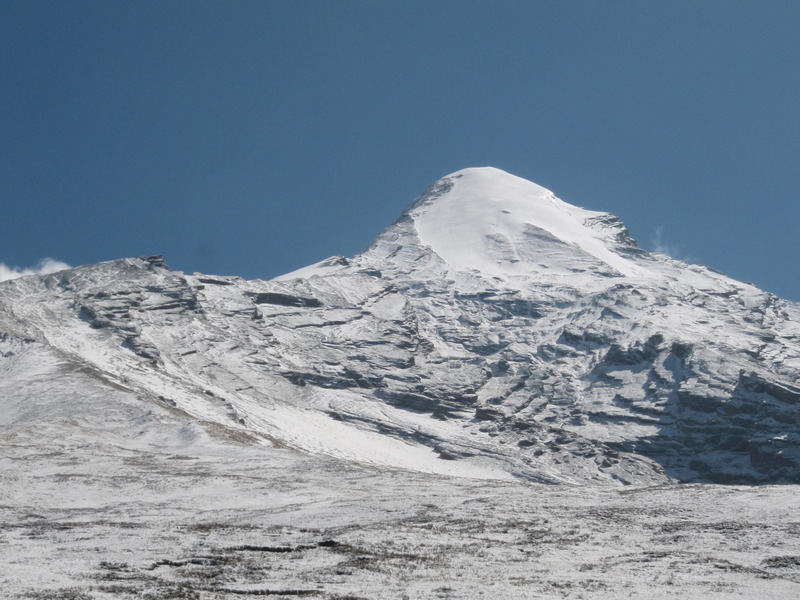 There is a short trail from high camp to summit which is disturbed with steep snow tracks making it difficult walk. The proper use of mountaineering tools and gadgets it is very easy to overcome this issue and reach the summit. The successful climbers are rewarded with virgin views of Annapurna Himalaya range and Manang valley along with encompassing region.